Teach yourself with these 20 great resources to learn graphic design, quick fast! Udemy, as most of you already know, is an online learning platform aimed at professionals, catering courses created by experts. The platform is filled with amazing courses whose legibility you can judge by the number of people who have rated/taken the course. If you are starting out, we would recommend the course: Introduction to Graphic Design, which is available for free. Skillshare is another online learning platform, but it also doubles as a community for creative individuals. It offers plenty of graphic design courses, all of which can be readily accessed by a subscription plan. You don’t have to pay for the courses individually, but through a single monthly subscription fee, you get access to all of Skillshares content. This is highly recommendable if you have a lot of spare time and are willing to dedicate it towards learning. Hackdesign offers one of the most complete and structured online course for learning graphic designing. If you want to explore this skill but don’t feel like investing, then you will find Hack Design to offer the perfect solution. You will get access to a number of links and posts, all of which are well structured, so you don’t have to Google around and create a mess unorganized resources. Alison Online offers a free online platform with certification courses. The site is very useful if you feel like adding new skills to your resume. Some recommended courses on the platform regarding graphic designing would be Visual and Graphic Skills, Design principles, Photoshop Essential C6 Tools and so on. There are also many more courses available, if you want something different from our recommendations. If you are looking to ace your design game, DesignLab is an ideal online graphic design learning platform for you. The platform provides users with complete hands-on projects to help them grasp the designing concepts. Their service even includes a weekly Skype mentoring session with an expert and the facility of availing feedback from peer users and mentors on-board. Offering umpteen number of designing courses, DesignLab can be your one-stop platform for learning everything related to graphic designing. Creative Bloq is one of the best blogs for web designers, graphic designers, and the like. Every day, it is updated with an inspiring catalog of advice along with illustrations to help you out in your journey to be the best. Just pop into the blog once a day, go through the latest news, tips, and tricks, and you will never even realize when you became an awesome designer. This is a like a blog post version of hackdesign.org. 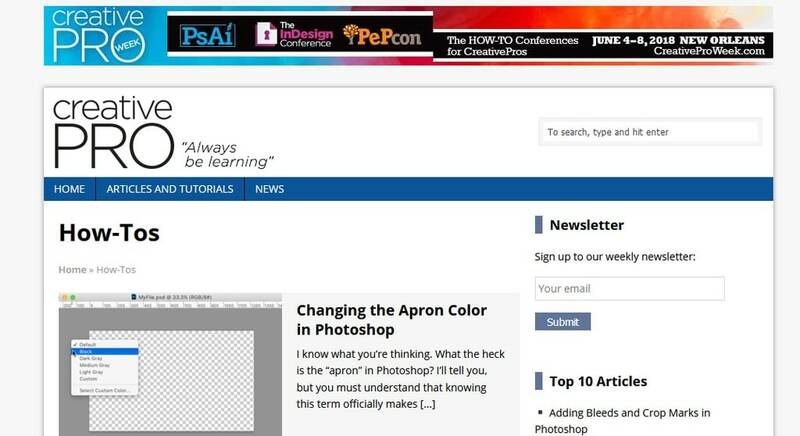 It is an article written by Sean Hodge, where he has efficiently outlined an array of resources which you can use to make a self-taught course on graphic design for yourself. You will find names of great books, and some online resources, all of which are broken down into some thoughtful subtopics. Studious individuals can couple this with HackDesign to make a diverse, well-covered study material. Book Cover Archive is the perfect place to go if you intend on gathering some inspiration or ideas for creating your next book cover. The website offers a sortable catalog of historic and new book covers, which can be filtered based on photographer, art director, designer, title, author, and genre. Then there is a blog which offers some educative commentary on designs and style. See here for tips for designing a great book cover. The Noun Project is one of the best go-to destinations for iconography. Here you can get great inspirations on how to create high-quality stock icons. The platform also allows designers to upload their work and put them on sale. If you are next project is going to revolve around design styles from the 70’s or 50’s, then the Grain Edit will prove to be a great help. It offers quality examples of vintage aesthetics. You can find talks on a variety of design pieces, designing tips and product reviews, which will help refine your skills as a graphic designer. Creative Pro is an online magazine for experienced designers with great how-to articles that will help you no doubt. It is filled with expert level articles and videos that will help solve many roadblocks. Many graphic designers should keep this site bookmarked for future reference. There are nearly a thousand tutorials in Evanto’s design and illustration database that will be of immense help in your career as a graphic designer. You will find topics ranging from Illustrator, Photoshop, Cinema 4D, Rhino and much more. While you are working on a designing project and stuck at some problem, this would be one of the best sites to refer to a solution. Here you will find a free self-paced graphic designing course curated for people getting into this area. It covers all the basic topics such as fonts, colors, images, background, layouts, and shapes. Despite being targeted at beginners, it is very comprehensive and will help to create a better foundation. Grids offer a fantastic reference structure to build your design, bu only if you know how to use it correctly. In this book, Timothy Samara discusses how to use the grid appropriately, including situations where it serves most benefits, and times when it becomes just a hindrance. Everybody wants a memorable logo, one which everyone will be able to recognize. This book offers priceless insight on how to create a premium quality logo that will help create a powerful brand presence. So whether you are creating a logo or favicon for yourself or for clients, this is a book, that is going to be of irrefutable help. This is one of Jacob’s top logo/branding books. Everybody can’t draw and write with equal caliber, but Paul Rand isn’t everybody. In this book, the iconic graphic designer discusses how he approaches graphic designing along with some his experiences while handling clients, audience, and not to mention, his art. 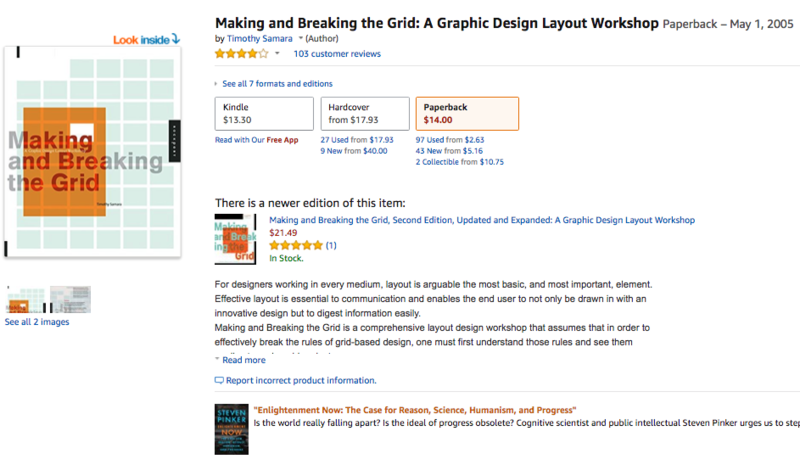 This is the best beginner level book for graphic designing. It will help you build a concrete notion relating to spacing, unity, page architecture, and typography. It also showcases some space to discuss about the history of graphic designing, which too can be very much informative and helpful. Thinking with Type is a great book on typography which will teach you some practical approaches for blending typography into your designs. After reading this, you will rarely suffer from questions such as what type of font to use, which font sizes to pick, and also help you understand the impact of alignment, spacing, ordering, and so on. The Art of Color is the best and complete guide to help you understand the topics ranging from how to mix color, color effect, to the physics of color, and much more. It goes through two different principles – a subjective feeling method, and objective colors principle- to help you understand who to use color. Everything is provided with much detail and clarified with multiple color reproductions. This book will provide you with plenty of examples regarding stationary designs. Every company/business needs letterheads, envelopes, and business cards, and thus the scope of stationery designers isn’t going to run dry anytime soon. Now, if you are thinking of getting into this field, then this book will provide you with plenty of ideas and inspiration to create some compelling designs for your clients. So these were our picks for the best learning resources for graphic design.Do let us know, which resources you choose or preferred over the others. Also, if you know of some other good places to hone your skills in graphic designing, then do share with us and all your fellow readers. Thats really impressive post. So much of resource to learn graphic designing in single blog which really help me. Thanks for sharing this. Thanks for your Support. And please do share the blogs with your friends if you like it. We will keep sharing information with you. Hello I am so happy I found your blog page, I really found you by accident, while I was looking on Digg for something else, Anyways I am here now and would just like to say kudos for a remarkable post and a all round interesting blog (I also love the theme/design), I don’t have time to read through it all at the minute but I have bookmarked it and also added your RSS feeds, so when I have time I will be back to read much more, Please do keep up the excellent work.